Data released by the U.S. Census Bureau showed that over 8 percent of men and 9 percent of women in California had divorced in 2008. That is a staggering number and roughly half of the percentage of men and women who had married in the same year. At Cutter & Lax, Attorneys at Law, we know that handling a divorce or any other legal issue related to family law can not only be tough, but downright daunting. We want you to know that you don't have to face it alone. By working with a Burbank divorce lawyer from our firm, we will do everything possible to make the process as smooth as possible. Cutter & Lax proudly serves clients throughout the Burbank area. With a central location, we make it easy for our clients to get the legal help that they deserve in a wide-variety of family law cases. Are you looking for effective representation that you can count on? Contact or visit our firm as soon as possible! Dealing with a family law related issue? From divorce to custody, our Burbank family attorneys at Cutter & Lax have been able to help countless clients in Southern California with their family law cases. We are known for our compassionate, effective representation, and work tirelessly to help our clients find workable solutions that don't break the bank. We are proud to be led by Attorneys Nelson Cutter & Matthew Lax, who each bring a unique background to the table and an in-depth knowledge of the law. Attorney Nelson Cutter has more than 30 years of experience in law. With over two decades practicing family law, he is able to provide his clients with more than book knowledge; clients who work with him can tap into his years of hands-on experience. This allows for him to be well-rounded in his approach. Beyond his legal experience, Mr. Cutter also has military experience. For four years, he served at White Sands Missile Range as the Chief of Legal Assistance; he also served at Fort Hood in Killeen, Texas. As a former JAG officer, he is also able to provide qualified legal assistance to military members facing divorce. 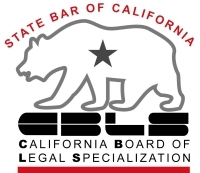 Our clients also get to benefit from the experience of Attorney Matthew Lax who is board certified by the State Bar of California Board of Legal Specialization in family law. A graduate of California State University, Northridge and Whittier Law School, he has since been licensed to practice in the state of California, including all of the state's federal district courts. Throughout the years since becoming admitted to practice, he has devoted himself to helping clients who find themselves in tough situations. He is compassionate to the plight of people facing complex family law cases and understands how emotionally challenging they can be. Looking for another way to stay connected with our firm? Follow us on Facebook, Twitter or Google+. By keeping connected with our firm, you can know the ins and outs of what we're doing and learn more about any updates from our legal team. If you, however, are ready to take the next step and would like to discuss your case with a Burbank divorce lawyer from our firm, don't hesitate to contact us today! You can schedule your initial case consultation with our firm by giving us a call at 818-254-8237. Want to send us an email? We make that option available as well. Just fill out our case evaluation form and send a message to us directly.